Tablez, the organised retail arm of LuLu Group International, is ringing in the summer season with the opening of a new outlet of Cold Stone Creamery at The Forum Shantiniketan Mall, in Whitefield Bengaluru, today. 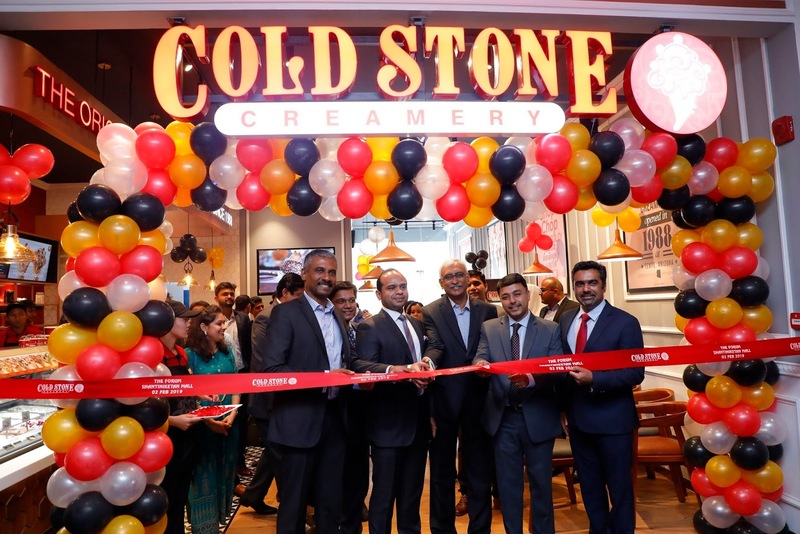 This is the 6th store of Cold Stone Creamery in Bengaluru, with expansion plans of adding 6 more outlets in the city by the end of 2019. Completing 30 years in 2018 and a presence in over 30 countries worldwide, Cold Stone Creamery is a force to reckon within the ice-cream industry. A pioneer in fresh ice-cream with delicious ingredients and unique customer service, Cold Stone Creamery is well known for crafting the freshest and 100% vegetarian ice-cream products. Cold Stone Creamery has “Signature Creations” and “Create Your Own” concepts, with over 20 toppings, where the ice-cream is customised for each guest by combining a variety of mix-ins on a frozen granite stone. New flavours of the season are Rose Faluda, Dark Indulgence and Hazelnut Crunch. The chosen flavour-scoops are put on the slab and the mix-ins - which can be of a variety of nuts, chocolates, candies - depending on the choice of the customer, are mixed with the ice cream to create a blended treat. The store also offers signature ice cream cakes, shakes, smoothies and sorbets. Cold Stone Creamery’s trained crew guide the customers through different aspects of the experience to help them give an ‘Ultimate ice-cream experience’. Crew members are trained in not just serving ice cream, but also break into songs, dance and sometimes juggle the ice-cream to entertain their guests. Cold Stone’s delicate ‘chop-chop-fold-fold’ process ensures quick and gentle mixing to prevent the escape of air from the ice-cream.